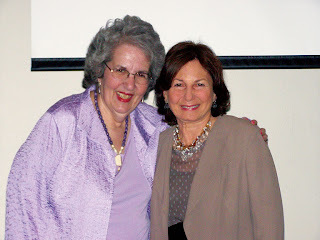 Celia Falicov, PhD, an internationally known family therapy author, teacher and clinician presented a comprehensive view of “New Immigrants in Therapy: Transnational Journeys” at the Ackerman Institute’s one-day conference on June 6th. More than 150 professionals and students attended the event, which was held at the Hunter College School of Social Work. Celia Falicov is Clinical Professor in Psychiatry at the University of California, San Diego. Her book, Latino Families in Therapy: A Guide to Multicultural Practice, provides a new model for both trainees and experienced therapists. Speaking from her experience and using a series of videotapes of sessions with her own clients, Dr. Falicov explained how today’s new technologies, including cell phones, emails, skype and other devices enable new immigrants to maintain close ties with their countries of origin and families there. Even in poorer, underdeveloped countries, cyber cafes support communication. “What a difference it makes to have that kind of immediacy,” Dr. Falicov noted. In addition to technological changes, immigration, itself, has changed considerably from the past. Dr. Falicov said that today’s economic immigrants are very different from the refugees who came to the U.S. decades ago. One big change is that the ratio of women to men immigrants has doubled. In addition, it is common today for immigrants to come to the US without their children. Leaving children behind in the country of origin with grandparents or other caregivers means that there are many new types of separations and reunions that occur. Dr. Falicov discussed three contexts for working with new immigrants: relational, community and cultural/sociopolitical. Relational context is the one most familiar to therapists, Dr. Falicov said. She explained that new immigrants most often have a very large relational system at work. The long distance family can act as a resource, providing a collectivist system of care for children. The children involved often develop multiple attachments. In some families in which the caretakers are supportive of the absent parents, this can work well, but in other families, grandparents and other caregivers may be critical of the parents and add to the estrangement children already feel. Dr. Falicov said that trauma can be part of separation or reunification: during separations, parents, especially solo mothers, often presented with symptoms of depression; during reunifications, it was often the children who were depressed. Mothers who have been apart from their children often need to be re-established in the family hierarchy. This can be a problem in families in which there is ambiguity between the parent and caretaker. When parents and children reunite, Dr. Falicov said, it is important to make meaning out of the separation to repair the bond between them and restore a shared family story. “This part is very challenging,” Dr. Falicov noted. She recommended that therapists employ a number of techniques, including creating a catching up life narrative, using genograms or family trees to clarify relationships and roles, celebrating family rituals and creating a special ceremony built around a certificate of legitimization that all the family members sign. The community context includes one of the greatest losses immigrants suffer – the loss of social capital, Dr. Falicov said. She pointed out that while there are many community-based programs that can help immigrants, these programs tended to be geared more toward refugees than today’s economic immigrants (people who come to the U.S. for jobs rather than to escape persecution). Groups do exist for both, Dr. Falicov noted, and can be especially helpful to people with no access to therapy. She recommended that family therapists learn from community-based initiatives. The final context, the cultural and sociopolitical, focuses on how the community views the immigrant. Dr. Falicov said it was important to determine if the community acted as a source of stress or support. Following Dr. Falicov’s morning presentation, she was joined by two guest panelists, Robert C. Smith, PhD, an Associate Professor of Sociology specializing in Immigration Studies and Public Affairs at Baruch College and the Graduate Center, City University of New York, and Carola Suárez-Orozco, Professor of Applied Psychology at the NYU Steinhardt School of Culture, Education and Human Development, where she co-directs Immigration Studies. Ms. Suárez-Orozco told the audience about a recently completed five-year longitudinal study of 400 children from immigrant families that showed that 85 percent of the children had been separated from their parents from six months to ten years. The percentage varied in different ethnic communities, but “it happens in a lot of kids’ lives,” she said. Ms. Suárez-Orozco said the study did not reveal much anger or anxiety in the children, but did find a significant amount of depression. “The way the separation was handled made quite a difference,” she observed. In many cases, she explained, the parents did not talk about why they were leaving to the children. Instead, they simply left. This type of separation most often was traumatic and had a bad effect on the children. In families in which parents created a separation narrative to explain why they were leaving, there was substantially less depression. One other factor that played a key role was the way in which the caregiver handled the narrative, Ms. Suárez-Orozco continued. Caregivers who supported and reinforced the separation narrative initiated by the parents helped decrease depression in the children. Ms. Suárez-Orozko also said that the issue of immigration and separation was not unique to the United States, but an international issue. Dr. Smith commented that one of the phenomena he observed in immigrant parents was a kid of suspension of life. Often the separation was so lengthy that the children grew up before reunification of the family took place. As a result, Dr. Smith said, parents and children who reunite often feel that they are strangers to each other. In some families, parents are viewed as “fairy godmother” figures because they only visit once in a while and usually bring gifts. The children may expect this type of relationship even after the family is reunited. Lengthy separations also alter the roles of the family members. Children who have been raised by grandparents or other caregivers may feel they don’t have to obey parents they hardly know. “The most difficult reunifications seem to happen among teen immigrants,” Dr. Smith said. He added that the alienation these adolescents feel sometimes leads them to join gangs when they are reunified with parents in this country. Dr. Smith agreed with Ms. Suárez-Orozco that the way parents handle their leaving has a big impact on the children’s emotional and mental health. He said he saw a difference in gender scripts. Men are more likely to just leave with no explanation, he explained, but the children get much angrier at mothers who leave with or without explanation because there is a greater expectation that mothers will not leave their children. The conference included case consultations at lunchtime with Ackerman faculty members Mary Kim Brewster, PhD, Jean Malpas, MSW, and Laurie Kaplan, LCSW. The conference concluded with a discussion of the advantages and pitfalls of cultural retention and long distance family and community connections in treatment decisions and advice about how to integrate all the parts of the model in treatment planning, goals, and implementation.